We are making changes to trout fishing rules to make freshwater fishing even better! They commence on Saturday 2nd September 2017, coinciding with the reopening of trout season in rivers and streams. Introduction of a 45cm minimum size for brown trout and 30cm minimum size for rainbow trout in Toolondo Reservoir with a reduced bag limit from 5 to 3 trout per day. Introduction of a 45 cm minimum size for trout in Hepburn Lagoon with a reduced bag limit from 5 to 3 trout per day. 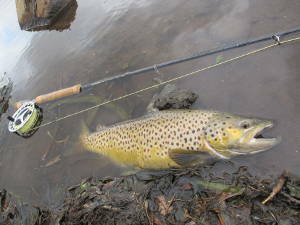 Removal of the trout closed season for the Hopkins and Merri rivers. These changes complement existing regulations for trout, which can be found here. The State Government's Target One Million plan includes a commitment to introduce a minimum size for trout. Over the past two years, we have worked closely with trout fishers to understand their views, examined how best to implement minimum size limits and considered other trout regulation proposals. As part of this process, we have looked at trout population data and considered how minimum size limits may affect trout fishing and participation. A 30 day public consultation process resulted in a wide variety of views being received from fishers with general majority support for changes to trout regulations. The proposed regulations will complement record trout stocking now underway across Victoria. Introduction of a 25 cm minimum size for trout and reduced bag limit from 5 to 3 trout for the Nariel Creek (upstream of Colac Colac bridge), Mitta Mitta River (upstream of Lake Dartmouth), Ovens River (upstream of Porepunkah Bridge) and Rubicon River. 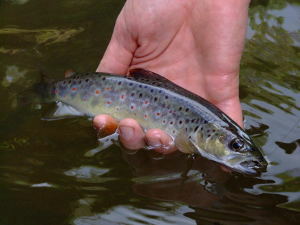 Acknowledges the high social value that trout fishers place on these iconic streams. As fishing pressure in trout streams is generally low, new fishing regulations are not expected to significantly improve trout catches however they will help promote these rivers as high quality wild trout fishing destinations. Introduction of a 45cm minimum size for brown trout and 30cm minimum size for rainbow trout in Toolondo Reservoir with a reduced bag limit from 5 to 3 trout per day. 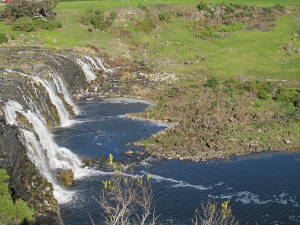 Introduction of a 45 cm minimum size for trout in Hepburn Lagoon with a reduced bag limit from 5 to 3 trout per day. These lakes have a reputation for growing large trout and these regulations are expected to increase the size of harvested fish, which may increase visitation. Similar regulations at Penstock Lagoon in Tasmania have created a high quality 'put and grow' fishery that is valued by trout fishers. These South West coastal rivers are reliant on annual fish stocking, which is used to manage trout abundance and provide high quality fishing opportunities. These productive waters have a reputation for growing large trout and opening up these waters during winter will increase participation and make a strong contribution to the local economy.